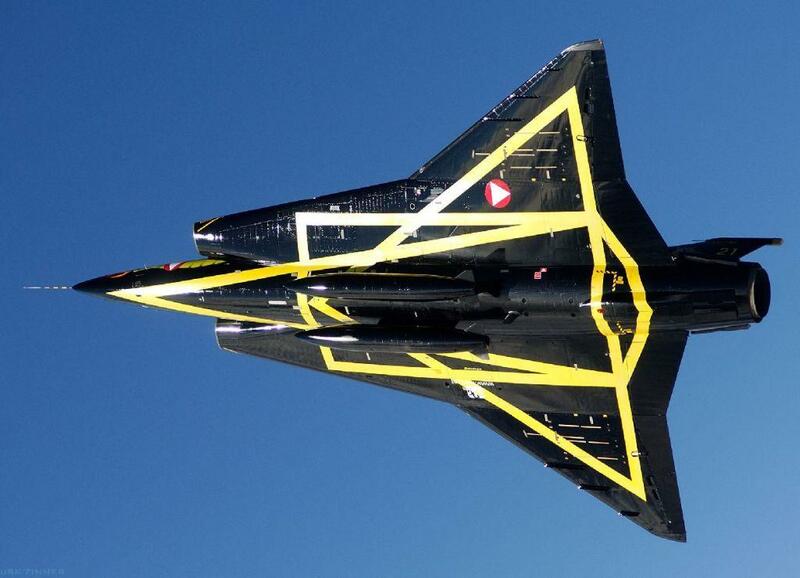 The J35A Saab Draken draken has been developed by the Swedish Saab Industries. 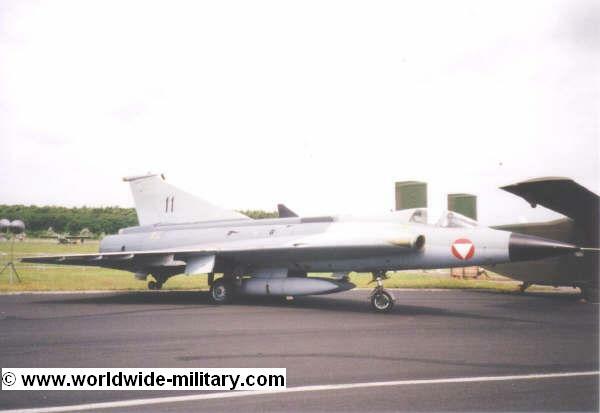 The fighter jet was in use by: Sweden 540 aircraft, Denmark 65 aircraft, Finland 65 aircraft and Austria 54 aircraft. 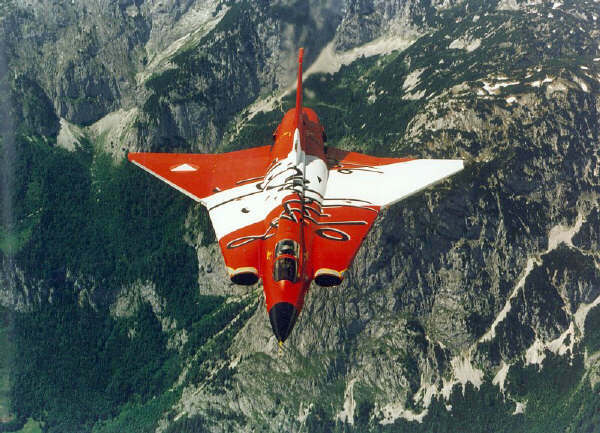 The characteristic by the saab draken is the delta model. This means that the trunk and wings are one. Because of this the aircraft is less maneuverable then other jets. Other characteristic are the 2 Volvo Flygmotor RM 6C engines which are assembled on the romp. 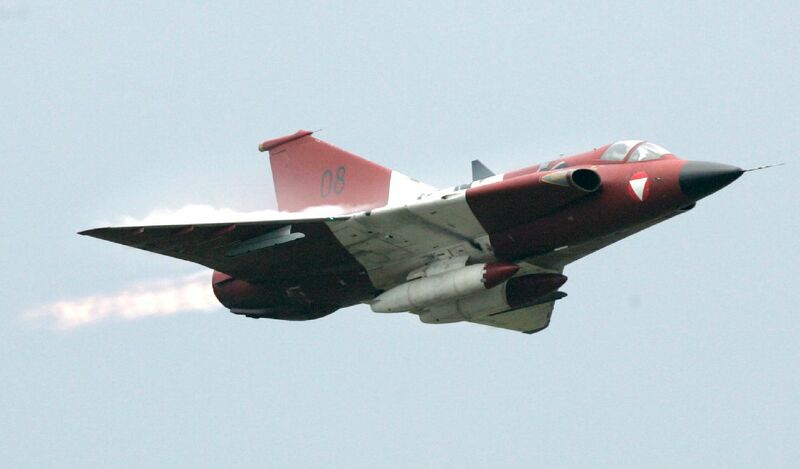 Austria has replaced the saab drakens by 15 eurofighters tranche 2. In the mean time, Austria leased a few F-5 Tigers from the Swiss air force.